Successful companies know the value of having visibility and control over their business. 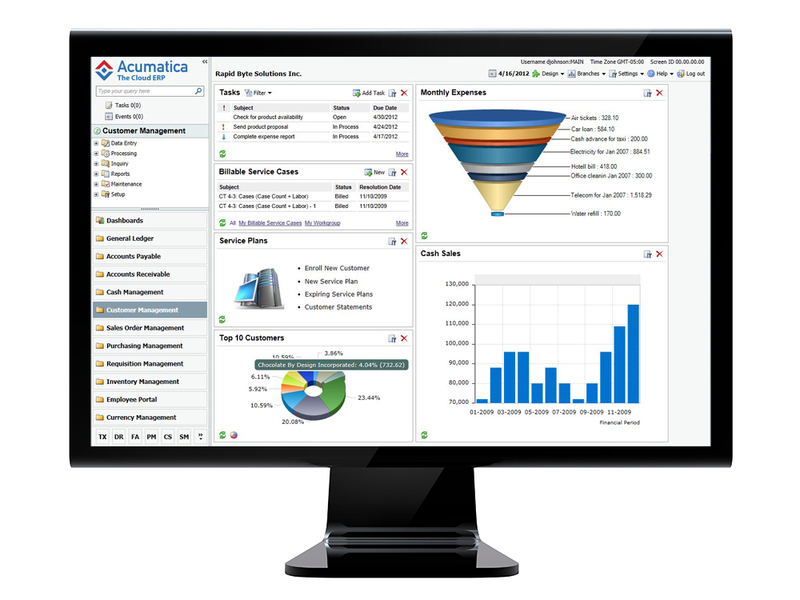 Acumatica enables you to drive growth, manage costs, and be more productive. Every business is unique. Play to your strengths by doing what works best for your company. Tailor your business management software to fit your exact needs, no matter how specific your requirements. Your business isn’t confined to four walls. Why should the people that impact your business be? Acumatica goes wherever your people go—anytime, anywhere, and on any device. As a Gold Acumatica Partner with almost 30 years of experience implementing ERP solutions, MaxQ will help you achieve Maximum Business Performance utilizing the cloud! Do more with less: Control workflows and maximize your resources by bringing complete information from everyone, everywhere, under a single pane of glass with one software solution to manage your entire business efficiently. Connected Cloud Platform: built for your business and adapts with your needs; add capabilities such as CRM or data visualization any time; extend to other solutions and applications beyond ERP. Work more efficiently with modern tools and make better decisions with insightful information. Having the right inventory at the right time is key. Track and manage your most critical business assets.